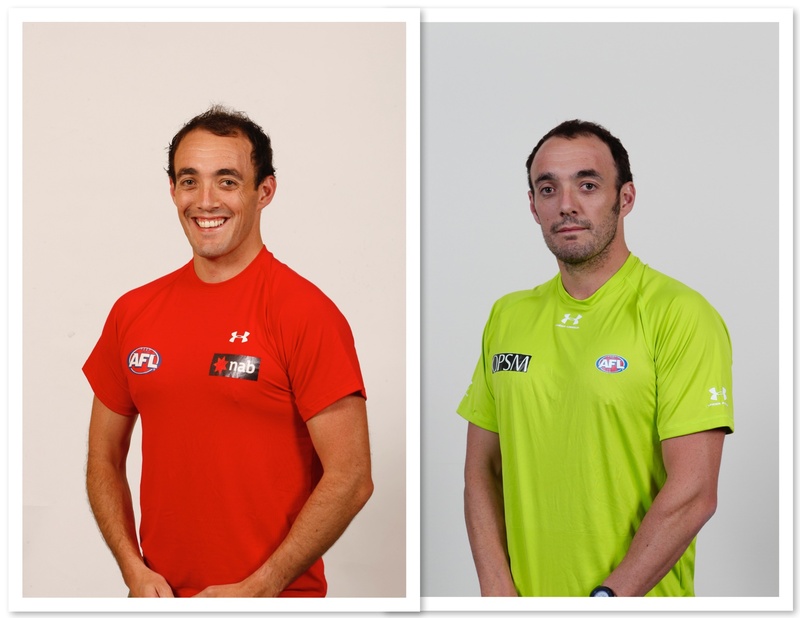 Tim made his debut as an AFL umpire in round 5 of the 2014 AFL season and recently reached his 100thAFL game when he umpired the Richmond v Carlton game in round one. Like a lot of umpires, Tim started his umpiring career after sustaining a few injuries whilst playing football. With Tim, he decided to follow in his father’s footsteps and took up boundary umpiring. Proving himself somewhat adapt at following the white line, Tim was encouraged to join the Bendigo Umpires’ Association where he umpired for a number of years and umpired six senior BFL grand finals from 2004-2008 and again in 2011. Tim joined the VFL from 2008-10, returned to the BUA in 2011, and back to the VFL for the next two seasons. 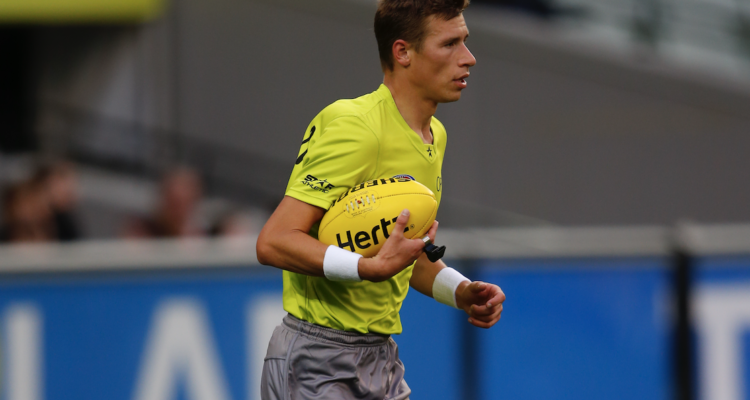 Tim umpired both the 2012 and 2013 VFL grand finals before a call from the AFL on the eve of round one in 2014 gave him the news every aspiring boundary umpire wants to hear. Tim’s career highlight to date was his appointment to the ANZAC Day match between Essendon and Collingwood in 2017. He recalls walking out onto the ground at the MCG, the intense noise, having the Last Post played and then the crowd falling completely silent. Tim admits he still gets chills when he thinks about it. Tim’s biggest learning to date in his career is that the intensity at AFL level rarely drops so you always need to be ready to run hard both ways. 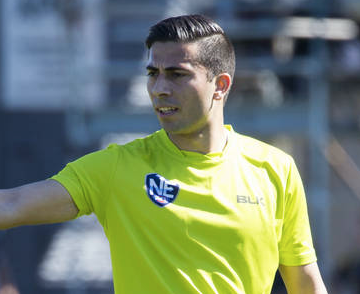 He finds it hard to single out a most enjoyable game to date, as he enjoys the privilege to umpire each and every AFL game. He does admit that umpiring in front of a big crowd at the MCG is always an enjoyable moment. Running so close to the crowd has its funny moments. During a stoppage in a JLT game with the temperature hovering around 38 degrees, Tim was having a drink from his water bottle when suddenly someone yelled out if he would like a beer instead. Tim, admits he would have loved to have said yes, but showed what a true professional he is by sticking to his water bottle. A civil engineer with Jacobs, Tim manages to balance his busy life by spending as much time as he can with his wife Louise and son Mitchell, his two biggest supporters. Congratulations Tim on a fantastic milestone. We wish you all the best for the year ahead.